After having breakfast at Valois, mayoral candidate and University of Chicago alum (A.B. 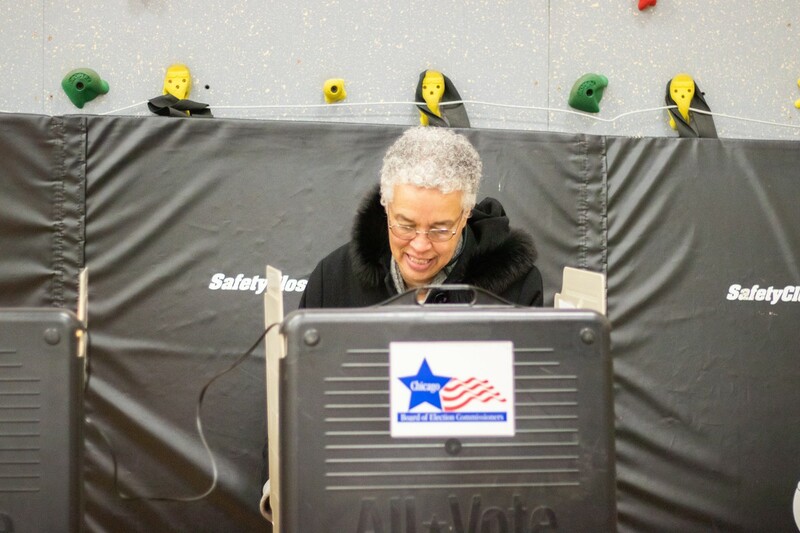 ’69, A.M. ’77) Toni Preckwinkle cast her ballot Tuesday morning in the Fourth Ward at Beulah Shoesmith Elementary School on East 50th Street. 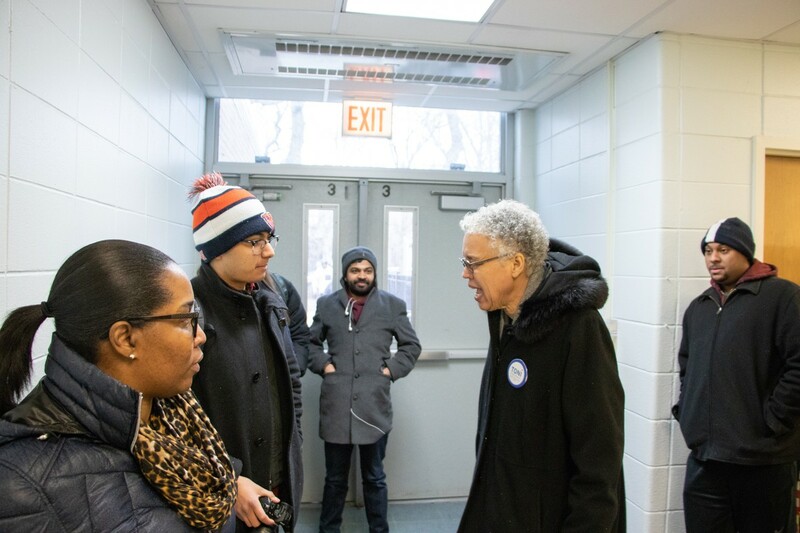 Preckwinkle’s vote is just the beginning of a long day ahead that is the culmination of months of campaigning for a record-number of candidates in offices throughout the city. The general election on Tuesday follows from a surge in early voting compared to the last city election in 2015. 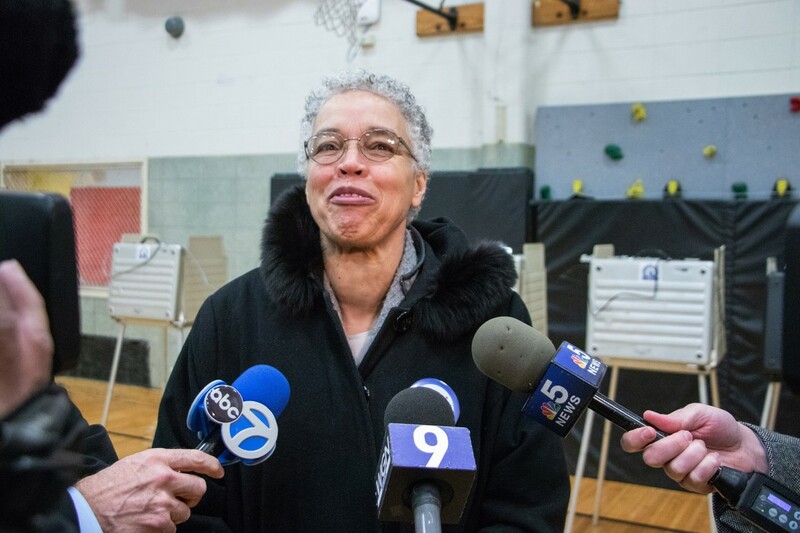 In an interview with The Maroon after she cast her vote, Preckwinkle said she is “cautiously optimistic” about the elections. 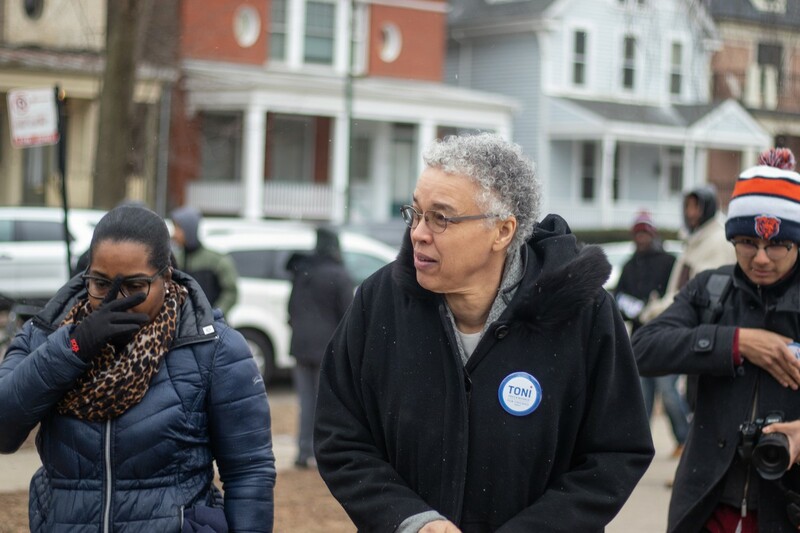 Preckwinkle launched her political career as an alderman from Hyde Park’s 4th Ward, where she now serves as a committeeman. She also serves as Cook County Board President. Voters will choose between a historically large field of 14 candidates to be the city’s next mayor. If no candidate gains more than 50 percent of the vote, the top two finishers will move on to an April 2 runoff, which appears likely given the large number of candidates. 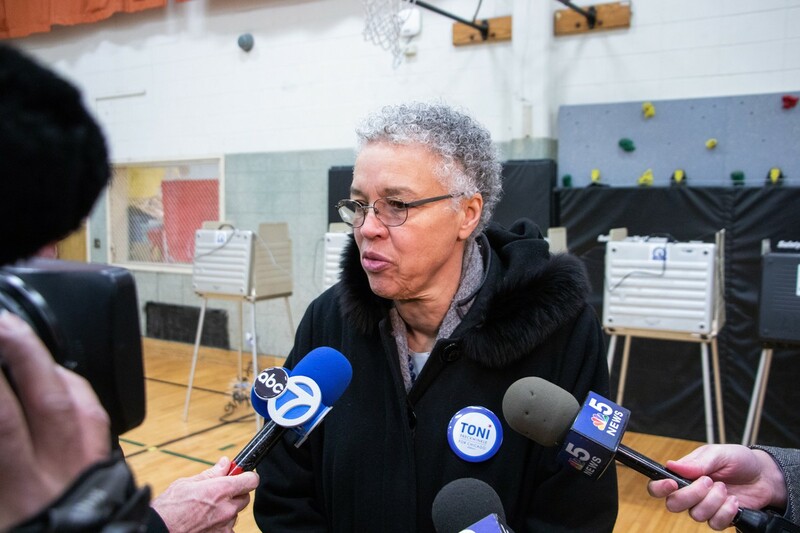 The most recent poll published on Monday morning showed a close race between Lori Lightfoot, Bill Daley, Toni Preckwinkle for first place, each with around 14 percent of the vote. 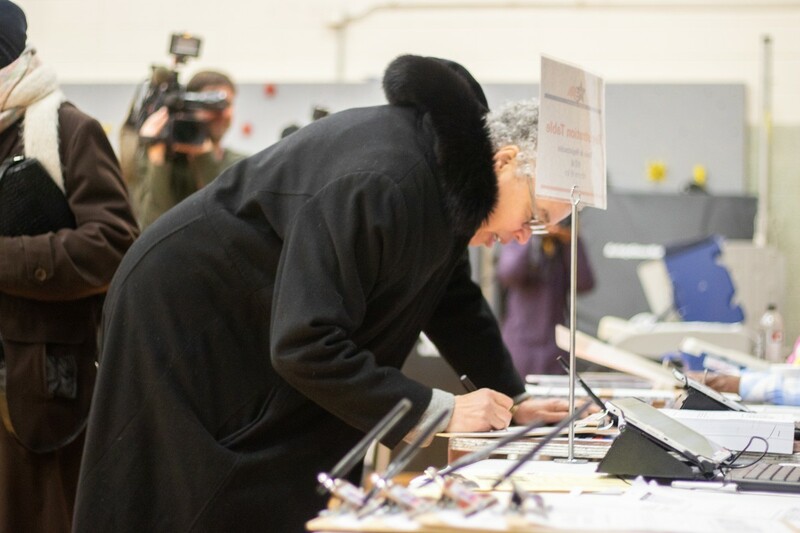 Four years ago, February municipal elections saw low turnout, but this year’s early voting figures show an uptick in participation–125,600 Chicagoans voted early in this election, whereas only 89,869 Chicagoans cast early ballots in 2015. Over 25,000 voters cast early ballots just yesterday alone, according to the Chicago Board of Elections. Aside from voting on city-wide offices, including mayor, treasurer, and city clerk, residents around campus will also vote for the next alderman in their respective ward — either the 20th, Fifth, or Fourth Ward. Like the mayoral race, the 20th Ward, which sits south of the Midway and west of Jackson Park, has seen a surge of candidates vying to replace an outgoing incumbent: Nine candidates are facing off to replace incumbent Alderman Willie Cochran, who faces trial in June on corruption charges. 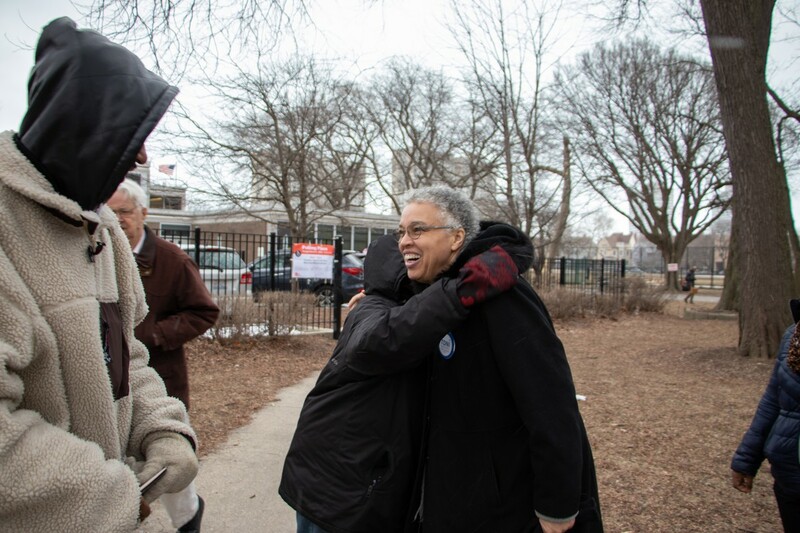 Favorability has varied, with the Chicago Sun -Times and Chicago Tribune endorsing Chicago Housing Authority development director Maya Hodari, and University of Chicago Student Action backing progressive insurgent Jeanette Taylor. In the Fourth Ward, which spans large areas north of campus including 53rd Street, freshman alderman Sophia King, the former president of Kenwood Park Advisory Council, faces a sole challenger, attorney Ebony Lucas. 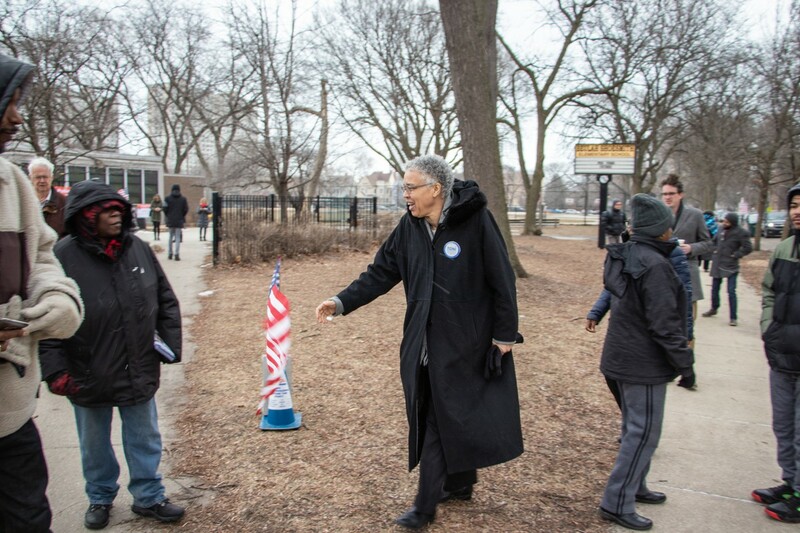 In the Fifth Ward, which spans most of UChicago’s campus, incumbent Leslie Hairston, who has represented the ward since 1999, faces challengers William Calloway, a community organizer and anti-violence activist, and former Hyde Park Herald editor Gabriel Piemonte. Both insurgents have received increasing attention, with Piemonte receiving endorsements from the Tribune and the Sun-Times last month. More information on all the candidates and functions of each elected office can be found in The Maroon’s voting guide. Polls close at 7 p.m. Tuesday night. Check here for a list of polling places. Update 2/26 3:34 p.m.: Despite an uptick in early voting numbers, voter turnout on Tuesday so far has been low, WBEZ reported. As of 1 p.m., only 19 percent of eligible voters had voted on Tuesday and in early voting, according to Chicago Board of Elections spokesman Jim Allen. Allen said that with the current pace, turnout across the city is "not even going to hit 30 percent." The record for lowest turnout in city elections is 33.8 percent in 2007.